When you are engaging in great practices of self care such as yoga, bring your dog along! There is a new trend of using yoga to bond with your pup, with great mental and physical benefits for both of you. East Valley Animal Hospital is here to take care of all your pet’s health care needs through providing excellent services by our knowledgeable staff in Gilbert Arizona. If you are looking for new ways to interact with your dog as well as get great exercise, look into pet yoga! There are many benefits for engaging in yoga with your dog! Learning specific poses created for dogs that you as the owner can assist your loyal companion with. The poses can be modified for all shapes, sizes and ages of dogs. Another possibility is that you as the owner would be doing yoga, with the dogs milling around socializing and creating a calm atmosphere. Both options depend on the instructor, your level of comfort and what your dog is capable of. The classes are specifically created to be a great place to increase bonding and trust with your beloved pet. 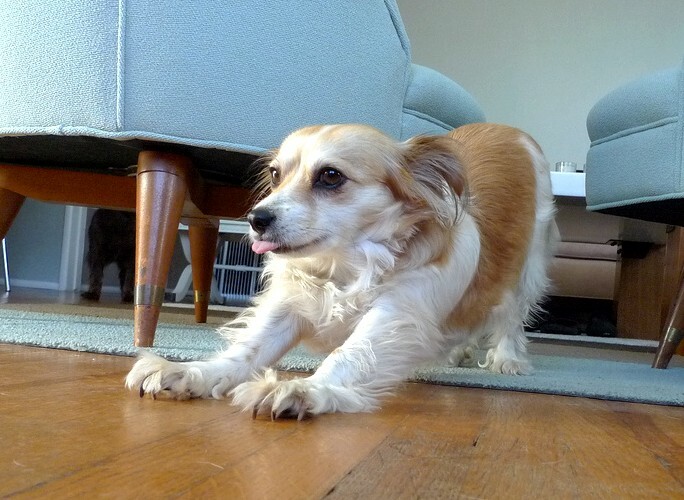 Or if you are curious in trying Doga out at home, there are some options for that as well. If you love yoga, why not bring your pet into what you love? Or if you are interested in switching up their exercise routine and working on your bonding, this is also a great option for you. East Valley Animal Hospital knows the benefits of bonding with your dog, and we are here to offer you the best veterinary services to keep them healthy! Come see us today and tell us all about your Doga experience.